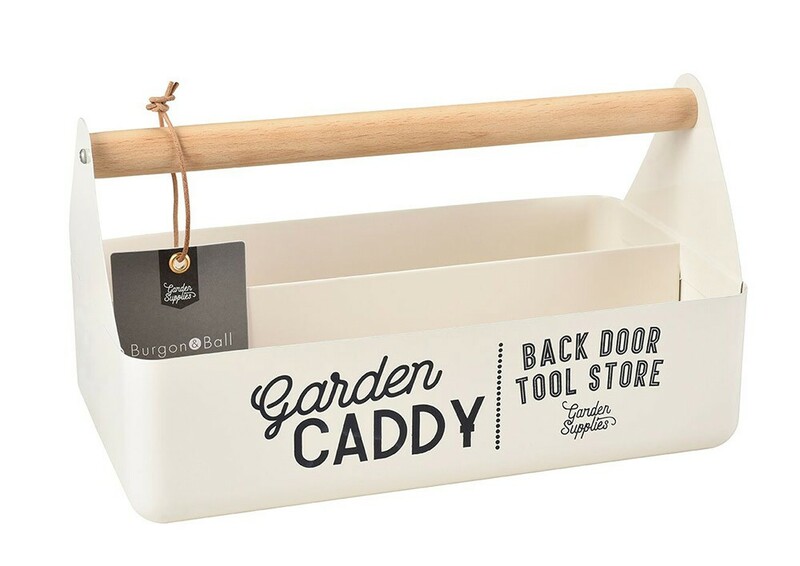 The caddy looks stylish with its elegant curves and on-trend typography. 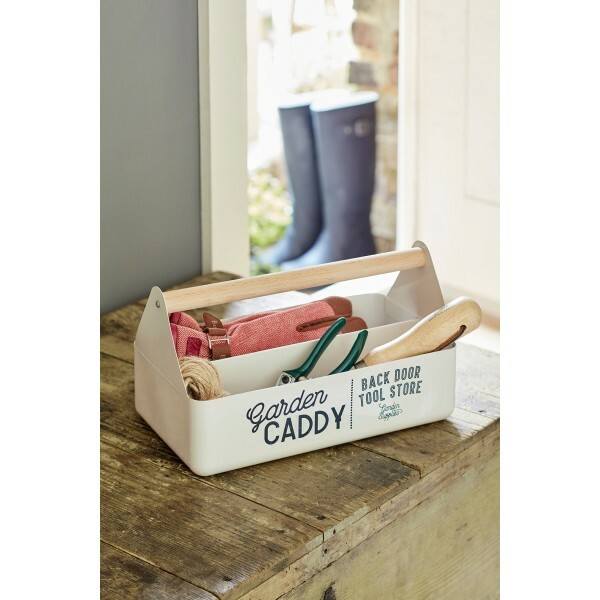 It is also wonderfully practical and handy, with deep, full-length compartments - perfect for keeping a few gardening essentials in, such as gloves, secateurs, twine, labels and pencils. The beautiful smooth lines are created by a unique moulding process, for a flawless, seam-free finish. The result is irresistibly tactile, with a tough powder coating to keep it looking good. The smooth FSC beech wood handle feels lovely in the hand, making it easy to adjust your grip to find the perfect balance, whatever you are carrying.